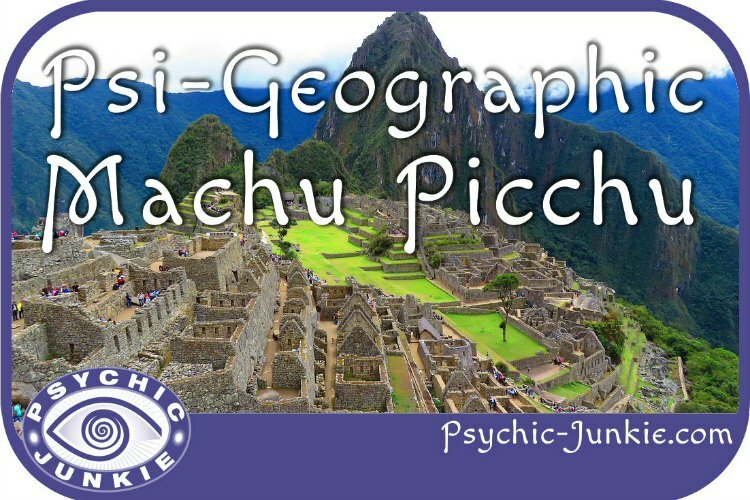 My Psi-Geographic Guide includes Spiritual Travel Machu Picchu Peru because Machu Picchu is the metaphysical mother lode of Mystic Places. The name means ‘Old Peak’ in Quechua, the native language. Machu Picchu resonates with all body chakras, as it links with all Earth energy centers. Tucked away, deep within the jungle of Urubamba Valley, between two higher mountains on a graben (a block of the mountain that has dropped downward). Its base is bordered on three sides by the tumultuous Urubamba River. Considered the best conserved city of the Incan Empire, a couple of factors account for its remarkable preservation. Buildings were constructed using the “ashlar” process, which means cut, inter-locking stones (many weighing 50-tons) precluding using mortar. 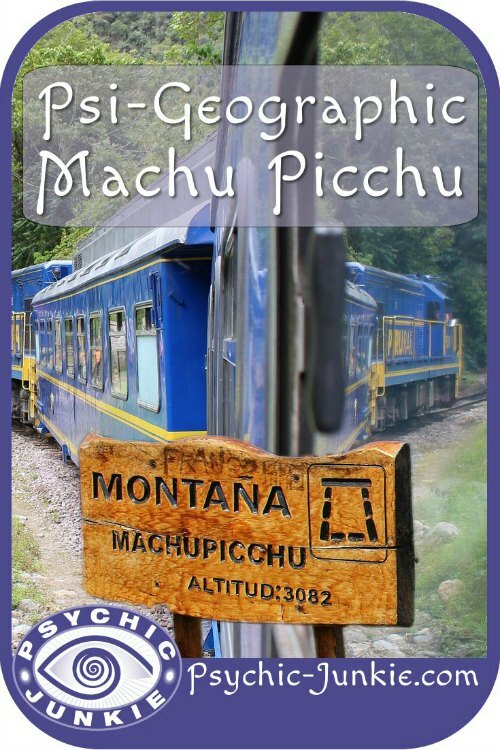 Also, in the 1500s, when Peru was invaded by the Spanish, they didn’t notice Machu Picchu, due to its obscure locale. Thus, its nickname, ‘lost city of the Incas’. Note: The ‘how’ and ‘why’ Incas built the sanctuary city remains ‘best guess’, as the culture did not have a written language. The Machu Picchu topography is rich with quartz crystals, which contribute to its high spiritual energy. Quartz crystal’s remarkable healing and cleansing powers promote development of psychic abilities, clear seeing and balance of the body, mind and spirit. Crystals also energize the immune system and balance all the body chakras. Majestic beauty of place is another qualifier for metaphysical enlightenment capabilities of Machu Picchu. Visualize a world of its own, in a coverlet of pristine white clouds and flanked by the healing greenness of two high mountains. Then think of all the adjectives you’ve ever known to describe beauty. You’ll be close, but not quite. Let’s just say Machu Picchu is as beautiful as it is spiritually enlightening. No ‘wonder’ Machu Picchu is one of the Seven Wonders of the World! The ancient Incas were sun worshippers. The Intihautana Stone, aka Hitching Post of the Sun, was used when they performed rituals and also served as an astronomic calendar. At noon on summer and winter solstices, the sun hovers over the monument. During solstice rituals, Inca priests ‘tied’ the sun to the Intihautana stone with a sacred cord. Shamans in Peru say if you touch your forehead to the stone, your will attain enlightenment. The Temple of the Sun is an ancient sanctuary and the single curved structure on Machu Picchu. Its purpose was to pay homage to Inti , or the sun. During winter solstice, the sun beams through the window and lights the enormous stone altar, in the center of the temple. Incans believed the sun created all things and common people were forbidden to enter the sacred temple. Only priests were permitted inside. Legends have it the priests conducted their rituals and performed sacrifices on the altar. Interestingly, various small holes on its back wall are thought to have once been plugged with gemstones. Contemporary scholars have dubbed it the ‘window of the serpent’. The Temple of Three Windows aka the Room of the Three Windows was erected on the Sacred Plaza. The three-walled, rectangular structure showcases three ginormous, trapezoidal windows aligned with the sunrise. No surprise here, since Incas were Masters of Astrology, all the structures within the fortress were positioned to align with the rising sun or the Universe. and the inner-life - Earth’s subsoil. At the end of the day, nothing will soothe your weary bones more than a therapeutic soak in the thermal hot springs of Machu Picchu at Aquas Calientes (meaning waters hot). The waters hot rise surface from underground hot sulfur springs. Let the waters work its magic on your physical body and let your mind wander through the phenomenal events of this day. I first became aware of the New Age side of Machu Picchu when watching the dramatization of Shirley Maclaine's Out on a Limb back in the 1980's. This was her account of a personal spiritual quest that at one point took her to Machu Picchu. Her astral travel experience was wonderfully portrayed in this production. Her later book, It's All In The Playing, revealed more of the metaphysical wonders that went on while filming the miniseries took place. If you are new to Spiritual Questing I'd recommend watching the Full YouTubes of the two part series on this page. Do you have some enchanting stories to share about the Mystical side of Machu Picchu? Perhaps you run Vision Quests, or Spiritual Tours of Machu Picchu? Your Psi-Geographic guest posts are welcome here.